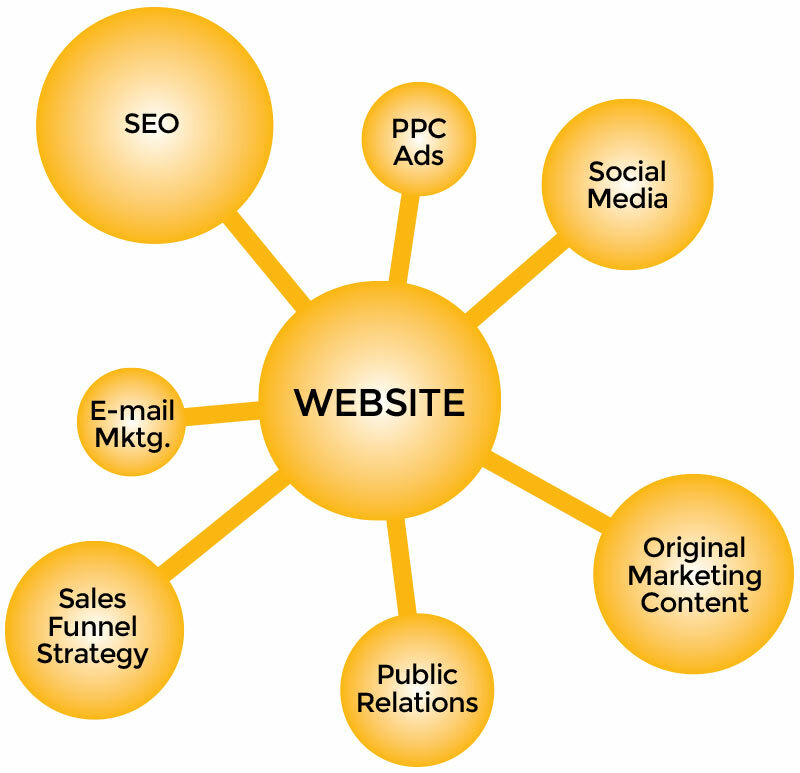 When it comes to digital marketing, each element improves your presence in multiple ways. Those efforts should all work together and follow an established plan. Flashpoint Digital Marketing highlights this by introducing the Digital Molecule! For example, by perpetuating your social media presence, you are also improving your ability to be found in search engines by creating more online activity. The more your social media efforts lead prospects back to your website, the more likely your search engine rankings will improve. And, that’s just one element. Schedule a call with Flashpoint Digital Marketing today and let’s discuss how to use your industry’s digital molecule to your advantage. Whether you are currently using social media or new to it, Flashpoint’s team will work with you to optimize your presence to fit your industry and align with your mission. When consumers search for your goods or services on Google, Yahoo, Bing, etc., you need to show up where they’re looking. Flashpoint will help you appear in the right place and proper context. If immediate placement is required, paid advertising might be needed. Flashpoint can help your advertising dollars go further while correctly positioning you in front of your prospects. Based on your industry, Flashpoint will create a custom and proven strategy to develop leads using a mixture of custom content, prospect development and direct interaction to generate inquiries. Your expertise matters and brings great value. Flashpoint can develop marketing content to educate your prospects while positioning you as a thought leader and the best fit for their needs. Web-based video is becoming a more dominant marketing tool. Flashpoint can develop custom video content to drive presence, influence prospects and promote your authority within your industry. Did you know that you can use LinkedIn to easily build up your client base for free? 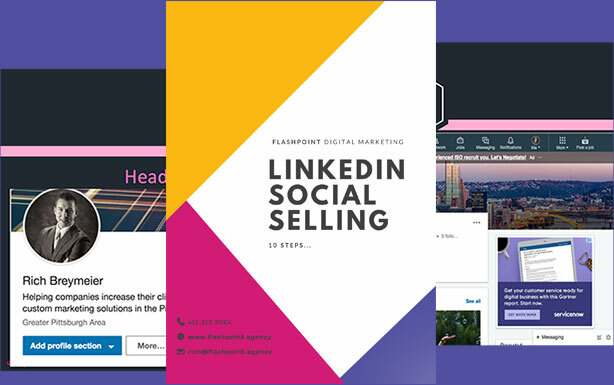 Request our free PDF and learn how to build prospects/referral partners, educate them about your industry/services, and move the conversation towards more business in a “non-salesy” way. Our Goal is Simple: Generate New Customers for Our Clients. We believe that no two businesses are the same. We provide tailored digital marketing plans using proven methods developed by industry leaders and adopted by Fortune 500 companies. Your business or organization deserves no less. Let’s talk about how Flashpoint Digital Marketing can help you get the most out of your online presence.